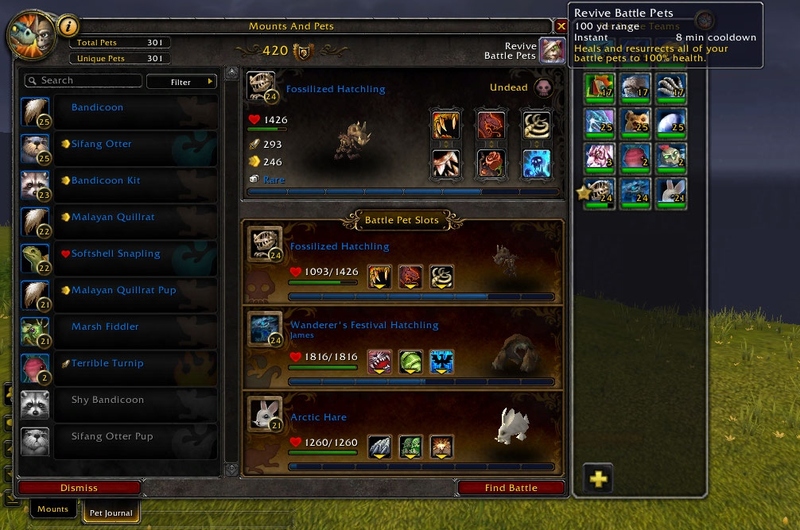 This entry was posted in ACTUALLY Serious, Pet Battles FTW, WILD KERMIT FLAIL. Bookmark the permalink. There are at least two stable masters in Jade Forest. One in Dawn’s Blossom and one on the Jade Serpent Temple grounds. I know I’ve been spending A LOT of time with the lovely young panda at the Jade Serpent grounds since I’ve been hunting cloud serpent hatchlings. Leveling that pet with Elemental attacks and needing a bunch of Mechanicals? I took my Grell to Everlook in Winterspring. Lots and lots of Robo-chicks and Rabid Varmints all with the town’s Stable master handy for quick heals.